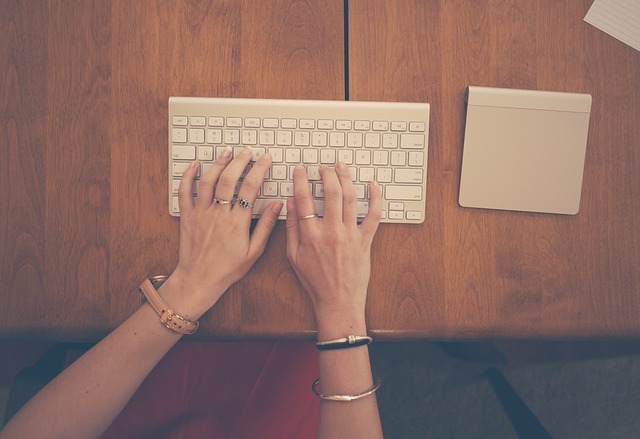 Have you ever thought to become a freelance writer? I’m saying this because I had the intention to start a freelance writing career some years back. In fact, within a very short time, I had got so many freelance writing jobs for beginners. It was the moment when I was able to get paid to write articles for my clients. It was really a charming moment in my life as before that time, I was a bit skeptical whether I could make it happen or not. You can also be a freelance writer, but to do this, you’ll have to learn the steps well. After learning the craft, the next thing is to implement all the things in your real-life online writing career. So, in this blog post, I’ll share with you how one can be a freelance writer. The first thing to know! I wanna make you remember one thing that is, I think, the fundamental of any profession that you choose. What’s that? That’s passion. Yes, to choose any profession out there, you’ll need to check whether you have the passion for it or not. To me, I had always a great interest in writing. For this, even though I left freelance writing as my career right now, I’m still writing for my blogs. Read: How to make money online without paying anything? I’ve seen that many people move for freelance writing only for making money. They don’t have any passion for it. These kinds of people never stick to one thing as they lose their interest from time to time in doing so. So, before reading my thorough guidelines about freelance writing, you should check whether you have the passion for it or not. If you see that you love writing, only then proceed further. I hope that you have the passion for being a freelance writer, so you can continue your reading. How to Become a Freelance Writer With No Experience? So, you’ve heard that freelance writing is a wonderful profession and now you wanna learn how to start freelance writing! Well, I can help you with this because I was an established freelance writer. I’d started my career in this field many years back to support my blogging career. When I started seeing traction from my blog, I left the profession of freelance writing. Step 1. Do you love writing? First of all, learn about what freelance writing is. After learning about the subject matter well now is the time to ask you a question and this question is quite important. The question is, do you love writing? This is the first question that you should ask yourself. Tell me whether you love writing or not. If you wanna jump into the world of freelance writing just by seeing that many freelance writers are making a lot of money, then you don’t love it. On the other hand, if you really have the passion for writing, then you’re most welcome to this profession. Another freelancing field you can try! : How to become a virtual assistant? “Jack of all trades, master of none” – so, you can never be good at all kinds of writings. So, try to understand which types of writing attract you the most or which types of writing you can craft the best. So, pick one or two of your favorite types of writing from the list. Great! You’ve just selected your preferred type (s) of writing, right? Now is the time to learn how to write them well. Suppose that you love to write articles and blog posts. Then, start writing how to write exciting articles and blog posts for your clients. So, before you get your feet wet on freelance writing, you should start learning how to deal with your favored type of writing. Awesome, you’ve taken a lot of preparations for your writing career! In this part, you’ll have to land almost all the freelance writing sites where you can create a freelance writer account. So, visit the sites one by one and start creating your nice profile there. Follow all the rules and regulations of the platforms so that you don’t violate any of their terms and conditions. Browse different freelance writing jobs on the platforms on a regular basis and once you get some suitable jobs, you must apply for them as soon as possible. Write a personalized proposal for each and every job. So, avoid sending the same proposal template to every client (they’ll hate you for sure if you do so!). You should market your freelance writing services in different ways. This means that you shouldn’t only keep yourself inside the freelance writing platforms. Rather share your writing services on your social media channels. Who knows some of your connections are gonna hire freelance writers for them soon! Most freelance writers don’t focus on this. As a result, they fail to offer their freelance writing services outside of some of their registered freelancing platforms. You shouldn’t do the same. Creating a website for showcasing your writing services will cost a little, but you’ll get a lot of benefits from it. What can you do with your website? Well, you can drive a ton of traffic to the website and from the traffic, you’ll easily get many clients for your writing gigs. Note that to get much traffic to your website, you’ll need to publish more and more exciting posts on it. Don’t forget to market your posts for getting more traffic. Also, you can see that I’ve added a widget of PeoplePerHour to the right side of my site so that my potential clients can connect with me on PPH. Starting a freelance writer website can help you make money in several ways through blogging too. Hope that you get more and more freelance writing jobs. Once you get some jobs, you should be very careful to meet the deadline given by your clients. Try to submit your writing tasks on time. This is the best part for any freelance writer. Once your clients are happy with your writing, they’re likely to pay you shortly. Keep making money freelance writing and lead a happy life with your kith and kin. Best of luck! Check different types of writing. Choose one or two types of writing on which you’ll write for your clients. Then learn how to write those types of writing well. After learning, sign up on the major freelancing platforms. Create a site for your freelance writing business so that you can showcase your writing services there. Write posts on the site for bringing more and more organic, social, and referral traffic to let them know about your writing services. Start utilizing the power of social media marketing, email marketing etc to bring some people to learn about your services. Start applying for freelance writing jobs. Write the things according to your clients’ requirements. So, these are the easy steps which you should follow one by one in order to be a successful freelance writer. I wish your great success.